It's going to be funny. 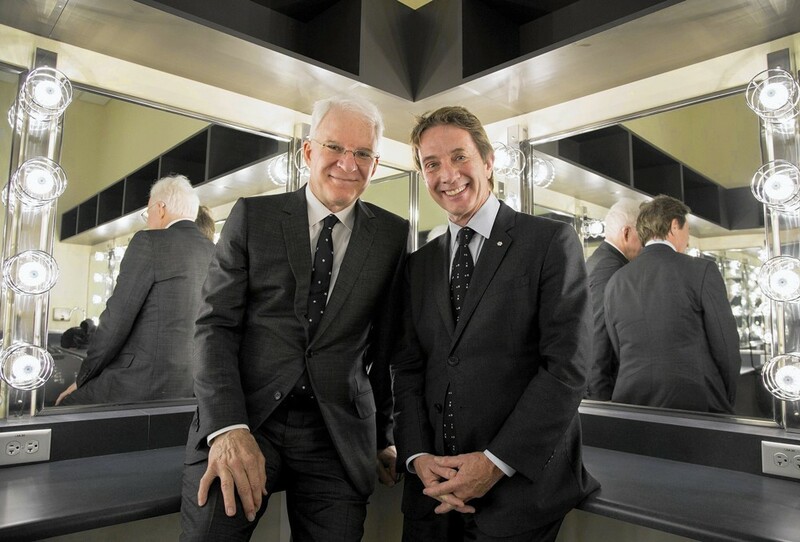 Calling it An Evening You Will Forget For the Rest of Your Life, comedians Martin Short and Steve Martin are set to perform on the INB Performing Arts Center stage October 20. And fans of Martin's original stand-up are in for a treat as the show features stand-up — not that it will be the same as the old days, of course (see below) — along with music, film and stories between the two famed actor/comedians. The Steep Canyon Rangers, a Grammy-winning bluegrass band Martin frequently lends his banjo talents to, will also be on hand. The pair, now 66 and 70 respectively, have known one other for years. working on multiple films together including the Father of the Bride movies and ¡Three Amigos! Most recently Martin co-wrote a Broadway musical with Edie Brickell called Bright Star, and Short worked on Maya & Marty, a summer variety show with Maya Rudolf. Tickets for October's show go on sale next Friday and start at a whopping $85. Those wanting to get up close and personal with the comedy legends can spend as much as $350. And going against what the show's title might suggest, it's doubtful you'll forget this evening any time soon.